Bronze medalist Lindsey Vonn celebrates after the women's downhill race, at the alpine ski World Championships in Are, Sweden on Sunday. 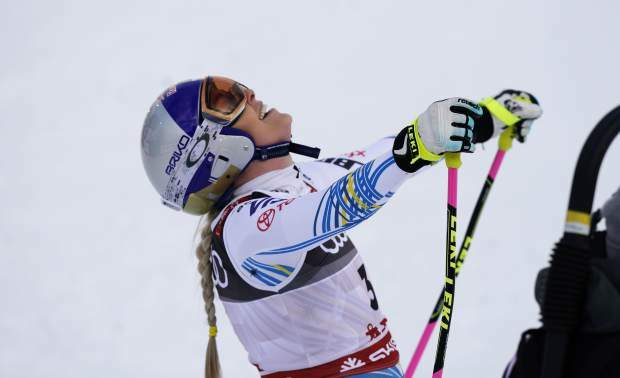 Lindsey Vonn, right, celebrates her third place with Sweden's all-time great Ingemar Stenmark after the women's downhill race, at the alpine ski World Championships in Are, Sweden on Sunday. Lindsey Vonn smiles in the finish area after the women's downhill race at the alpine ski World Championships in Are, Sweden on Sunday. 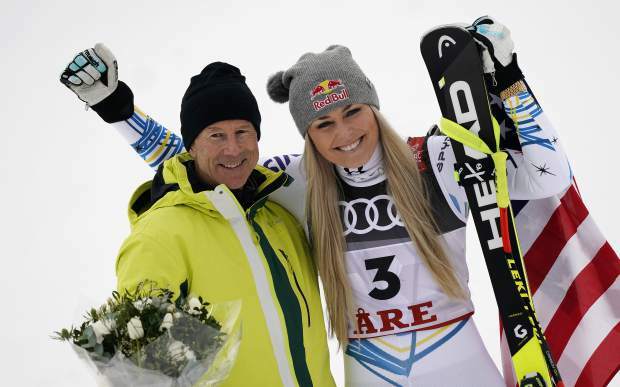 Lindsey Vonn, right, poses with Sweden's all-time great Ingemar Stenmark in the finish area after the women's downhill race at the alpine ski World Championships in Are, Sweden on Sunday. 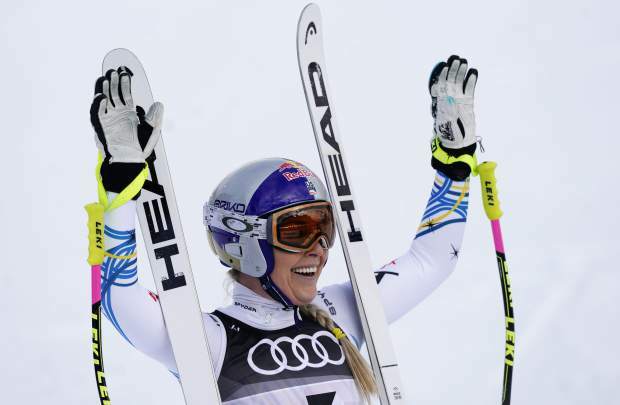 Lindsey Vonn smiles in the finish area after the women's downhill race, at the alpine ski World Championships in Are, Sweden on Sunday. 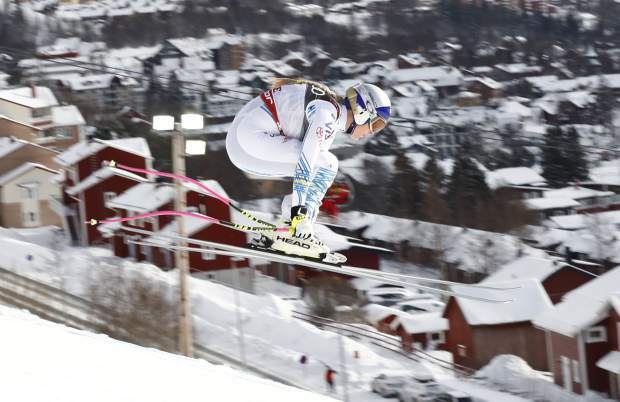 Lindsey Vonn speeds down the course during the women's downhill race, at the alpine ski World Championships in Are, Sweden on Sunday. 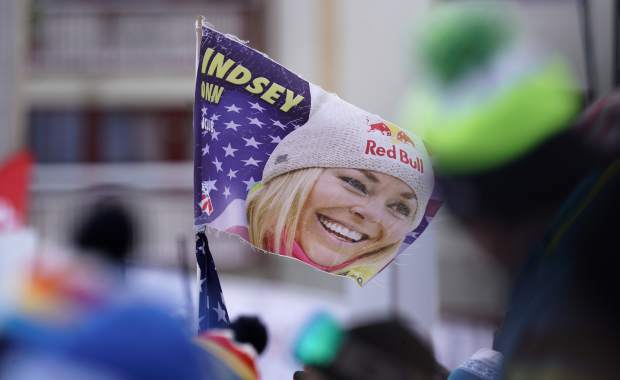 Supporters hold a flag with a portrait of the United States' Lindsey Vonn in the finish area prior to the start of the women's downhill race at the alpine ski World Championships in Are, Sweden on Sunday. 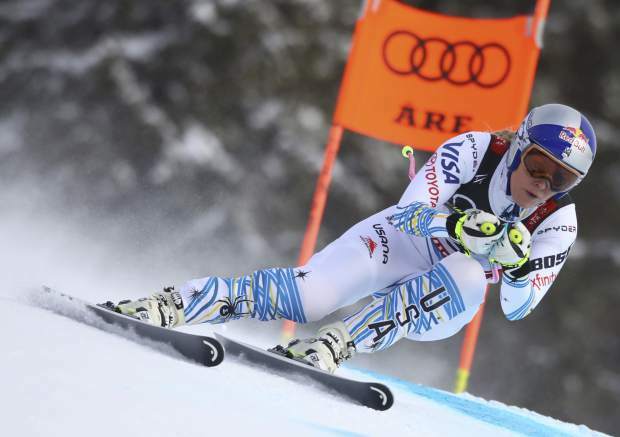 Lindsey Vonn speeds down the course during the women's downhill race at the alpine ski World Championships in Are, Sweden on Sunday.